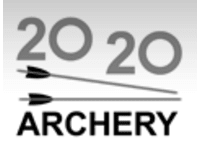 Archery Courses & Events in Central London. Our club meets at different venues around London Bridge about 5 times a week. We've now been providing great archery events for 4.5 years, our credentials as a serious sport provider are backed up by our thriving club (unlike other London clubs we've developed a target and bow booking system as we're so popular). We have consistently great feedback on our events and courses and we now have regular bookings from some very impressive clients including Sony, Citibank and KPMG. We are also regularly used by Westminster Council youth programme and the Bridge Academy in Hammersmith. Fun and safe. Thumbs up all the way! Went for a 3 hours archery at this place with my friends last weekend and had a lot of fun. Instructors; Craig and Rafar were very informative and helpful. Their passion for the sport was admirable and drew customers like myself interested on how it all works. We practiced for the first couple of hours then had a friendly competition with other participants. I definitely recommend this place and plan go back there again very soon! Archery Tag - Definitely worth doing!